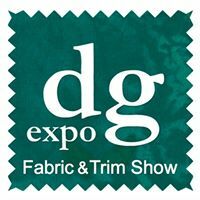 I'm thrilled to be participating in the second installment of DG Expo Chicago later this month. I will be giving a new seminar about Tech Packs, as I did last December. This is such an important topic, and one that many designers have questions about as they go through their product development process. Tech Packs are just as important as your pattern and prototype when it comes to development, and for approaching factories with your production order. Update 8/15/18: I am excited to announce a second seminar has been added! Build beautiful inspiration boards and refine your designs to work effectively with your pattern maker, technical designer and development team. Learn about a variety of construction methods, and determine sizing and grade rules appropriate for your target market and product category. Through this overview of the product development process, you'll come away prepared to communicate your ideas and expectations in order to avoid potentially costly mistakes. Register here to attend the show (FREE) and Purchase your ticket for this seminar ($15)! I will have a table at the show and would love to meet you! The Chicago Pattern Maker is sharing a table with Suite Creative Studio. The Fashion Group International of Chicago will also have a table at the show, and is hosting two events on Tuesday August 28th: Fashion Marketing Seminar (5-6pm), with Jet Black PR and Dearborn Denim, followed by an Industry Mixer (6-7:30pm). MORE INFO/PURCHASE TICKETS HERE. Check out this FREE toolkit I created for taking notes as you source new vendors and materials. Also helpful for post-show follow-up and to keep all your sourcing information organized during development. Also be sure to read my blog: Questions to Ask Fabric Reps When Sourcing.